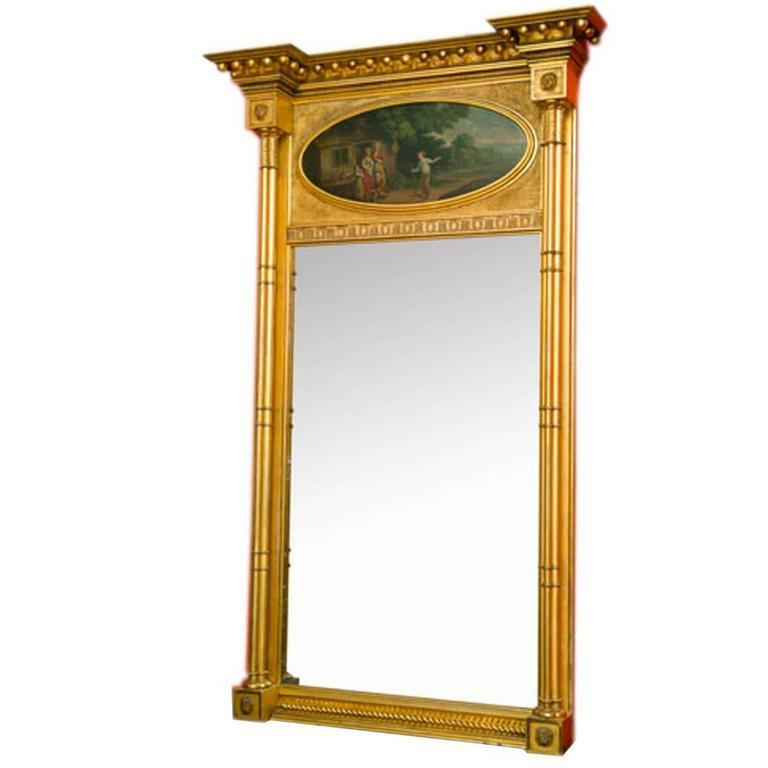 Early 19th century Regency gilt pier mirror, circa 1810, with an oval painting depicting rural scene, framed by side carved columns decorated by carved lion heads. 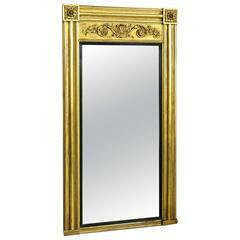 18th Century large giltwood pier mirror with swan neck pediment. With carved phoenix heads adorning the base and further ornamented with acanthus leaves and rosettes. 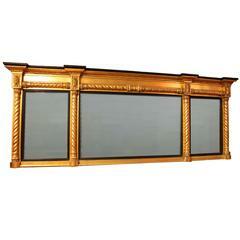 Early 19th century gilt and ebonised compartmental overmantel mirror. The mirrored glass flanked by robe twist half columns with similar molding above. A very attractive regency period giltwood wall pier mirror having replaced rectangular mirror plate bordered by half turned spiral twist columns with attractive carved capitals. 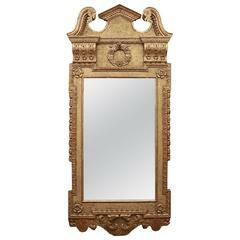 The large scale breakfront pier mirror has flower husk ribbon decorations. 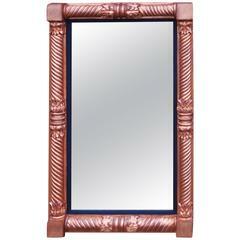 The reeded columns have upturned carved flowers flanking the original mercury plate glass mirror. The diminutive giltwood mirror has an eglomisé plate depicting figures on a lake by a large Georgian house. 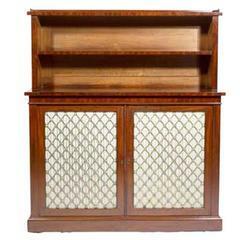 The reeded columns flank the original plate glass mirror. 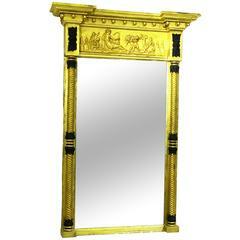 A very attractive Regency period giltwood pier mirror having scene to top above replacement mirror plate flanked by turned and carved columns with ebonised capitals.